The Insect Trust were an interesting group whose sound was based around the vocals of Nancy Jerries. Jerries and Barth had earlier played with Peter Stampfel (see Holy Modal Rounders) in an outfit called The Swamp Lillies. 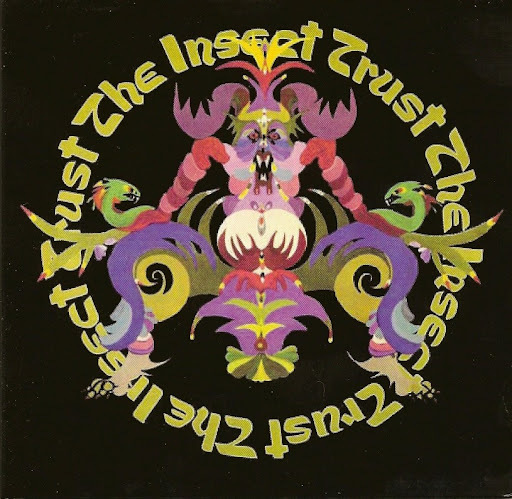 The Insect Trust took their name from a newspaper called The Insect Trust Times, founded by Bill Levy, the original editor of International Times in England. Their debut album was an amalgam of various strands ot country music and most of the material was written by the band. They utilised a wide range of woodwind and stringed instruments. Their style was varied, ranging from the bluesy Special Rider Blues through the string instrumental Foggy Bridge Riverfly, to the harmonious Been Here And Gone So Soon and Going Home. Also of interest is the unusual instrumentation of another track Mountain Song. In 1970, the band emerged on a different label, with their follow-up Hoboken Saturday Night. This continued their experimentation and included the unusual, brassy Somedays, successful ballads like Our Sister The Sun and The Eyes Of A New York Woman, the big band sound of Reciprocity, strange woodwind accompaniment of Now Then Sweet Man, strange attempts to merge stringed and woodwind backing in Glade Song, and ends with a brassy instrumental jam, Ducks. The previous year, Trevor Koehler had also played on a couple of tracks on Octopus' sole album. Gracias, solo conocía el segundo álbum de este grupo. Saludos. Thanks, like to listen both Insect's very much. This have only mp3. Like somebody says, today`s rock music is a genre that employs sampling techniques, electronic instruments, digital/computer technology, cacophony, and ethnic sources. The roots of today's rock music lies in the technical innovations brought about in the first half of the 20th century. Therefore, our-your Oldish Psych & Prog rock music begins much earlier than most books on the origins of rock'n'roll,and covers much more territory than guitar-driven rock'n'roll. It ends up being more focused on "alternative" rock than on "mainstream" rock, simply because alternative musicians tend to be more innovative and sincere than mainstream musicians. The proof is right here - the mighty INSECT TRUST !